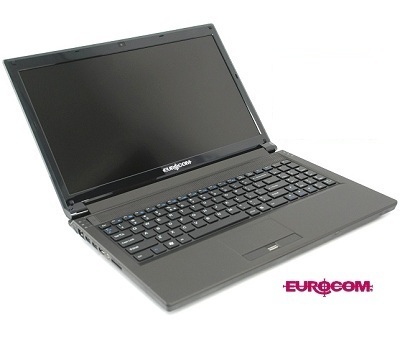 Eurocom Corporation (www.eurocom.com), a developer of long lifespan, fully upgradable Notebooks, high performance Mobile Workstations and Mobile Servers is now offering a high performance Mobile Workstation computer with DDR3 1886 RAM, Kingston's HyperX® Plug-and-Play (PnP) memory. Eurocom offers customers the ability to choose between a wide variety of memory options in the EUROCOM Racer. Offering upwards of 32GB of DDR3 1333 memory through four 8GB modules, to 16GB of DDR3 1866 via four 4GB modules, with many other options in between. “Adding support for Kingston's HyperX® Plug-and-Play (PnP) DDR3 1866 memory is a natural progression for Eurocom, as we strive to offer the best available technology to our clients. For users who want to squeeze as much processing power out of their system as possible, 1866 MHz memory is a must” explains Mark Bialic, Eurocom President. An added benefit of Kingstons HyperX PnP is that it is backed by a lifetime warranty, 24/7 tech support and legendary Kingston® reliability. The EUROCOM Racer is a fully customizable Notebook that has the power of a full sized Mobile Workstation with a small size and sleek design with maximum mobility. The 15.6” Racer can be equipped with a Matte or Glossy Full HD 1920-by-1080 pixels 16:9 LED backlit display panels, 3D panels are also available as special order. The EUROCOM Racer supports high performance, high power VGA technologies up to 100 Watt GPUs including NVIDIA GeForce GTX 580M, AMD Radeon HD6990M or NVIDIA Quadro 5010M.